Text by Michael Bracewell, Andrew Renton. Marking the artist's first solo exhibition outside London since 1999, Anish Kapoor: Flashback remodels the conventions of the retrospective by inviting the famous sculptor to revisit his earlier works held in the collection of the British Arts Council, and using them as springboards for reflection on subsequent practice. 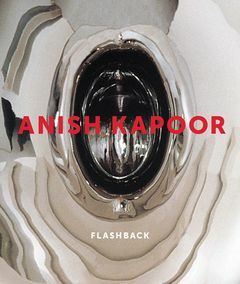 This premise, being artist-led rather than curator-led, takes a more intuitive path through Kapoor's career--one that leads backwards, forwards and sideways, but which greatly intensifies our experience and comprehension of the work's evolution. Along this path, we see how Kapoor's sculpture has evolved from its early celebration of large-scale forms and the use of liberally applied powdered pigment to a more recent merging with architecture, as in his transformation of the Cumana station in Naples. Flashback appraises the impressive ambition and achievement of this ever-popular artist.